The church is dedicated to St Edith of Polesworth, whose feast day is July 15th. She is said to have been the sister of King Athelstan of England. In 925, she married the viking king Sihtric at York, and when he died the following year, she took monastic vows, retiring to the Benedictine convent at Polesworth, Warwickshire, where she eventually became Abbess. The present church building, constructed in Spilsby greensand, with some ironstone and limestone, dates from the 13th century, with a mid-fourteenth-century tower. Significant restoration occurred in the fifteenth and sixteenth centuries, and late nineteenth century, when the north porch was added. Much of the woodwork, doors and ceilings, date from the fifteenth and sixteenth centuries, but the angels in the nave are original. 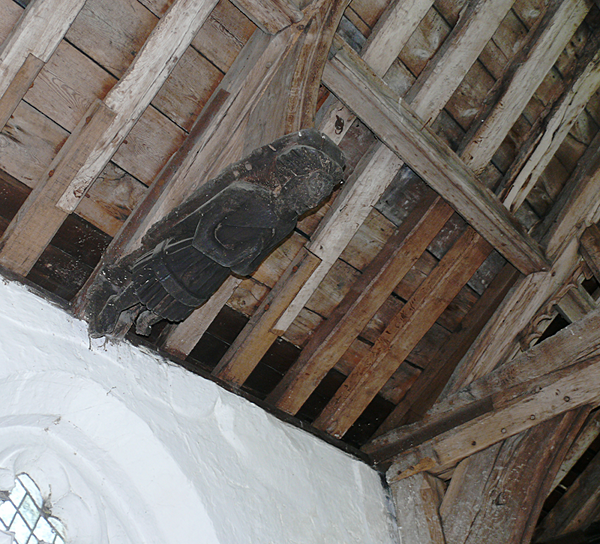 One of our 13th-century angels. These are not the cuddly angels of the Baroque or the effete angels of the Pre-Raphaelites, but the dragon-fighting angels of Revelation 12:7-9, and they appear to have come well equipped. Lower down, traces of red-painted wall decoration remain and the stonework of the arcades and doorways carries numerous informal inscriptions, including apotropaic marks invoking the virgin Mary, as protection against Satan’s various colleagues. 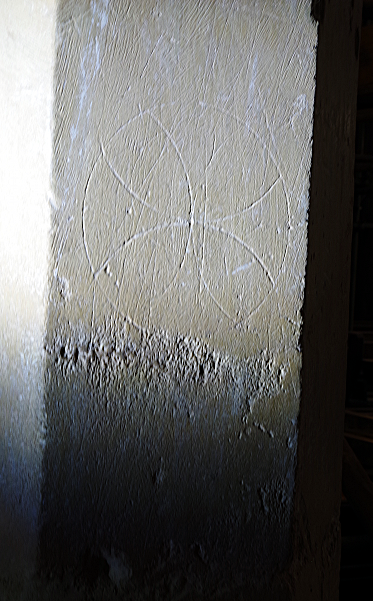 This consecration-type cross has been marked with compasses. 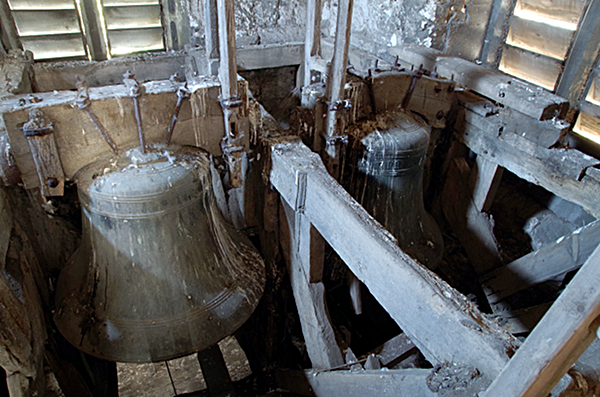 The oldest of St Edith’s three bells dates from the 14th century and is dedicated to St Catherine: it carries the words Sum Rosa Pulsata Mundi Caterina Vocata (When rung, I am the Rose of the World, called Catherine). The Catherine bell is on the right (east). The word ‘vocata’ is just visible. 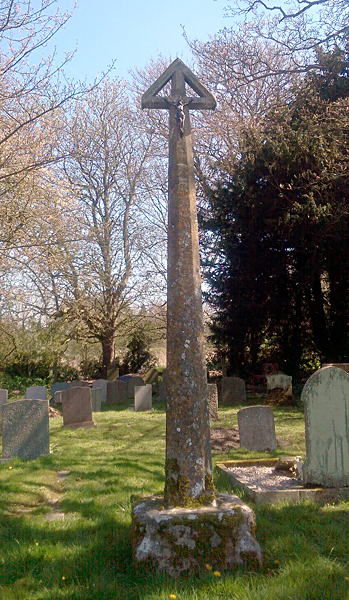 In the churchyard stands a medieval cross, restored in the twentieth century. 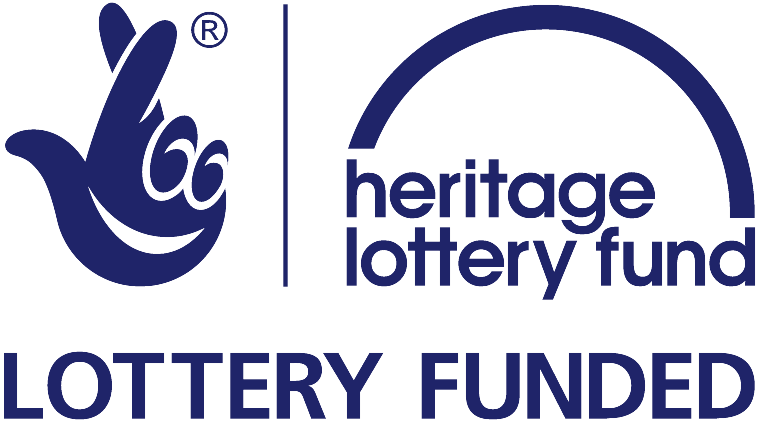 Please see our Blog for details of the current restoration works.